The Ruy Lopez (also called the Spanish Opening or Spanish Game) is a very popular opening and is played often at top level chess events. Especially the Closed Ruy Lopez in which the bishop retreats to a4, after being attacked by a6, is the most played variation of the Ruy Lopez Opening. White retreats his bishop as he likes to preserve his two bishops which are more flexible in open positions compared to having a bishop and a knight instead. After the retreat Ba4 Black has the possibility of breaking the eventual pin on his queen’s knight by playing …b5. In this case usually the bishop retreats further to c2 and overprotects the important white e-pawn that can be regarded as a strong point around which the game evolves. 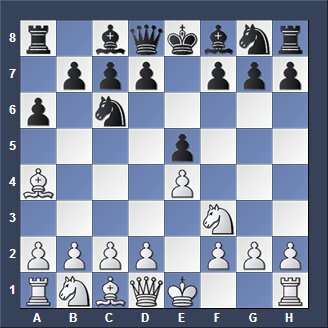 However White must not retreat the bishop to a4 after a6 but can trade his bishop for knight. In this case he gives up the idea of preserving the two bishops but damages the black pawn structure instead. However, in this case Black gets compensation as he has the two bishops now. Black always gets compensation in all variations and the game is roughly equal. Replay chess games of the Closed Ruy Lopez below. I selected only games played by the best chess players worldwide with an Elo rating of above 2700. These grandmasters are so-called Super Chess Grandmasters or Super-GMs, because their rating is above 2700 ELO.